We are pleased to announce the release of GCompris version 0.96. This new version includes updated translation for several languages, and a few bug fixes. This means we have now 19 languages fully supported: British English, Brazilian Portuguese, Breton, Catalan, Catalan (Valencian), Chinese Traditional, Dutch, French, Galician, Greek, Hungarian, Indonesian, Italian, Malayalam, Polish, Portuguese, Romanian, Swedish, Ukrainian. We still have 15 partially supported languages: Basque (78%), Belarusian (68%), Chinese Simplified (69%), Estonian (62%), Finnish (90%), German (84%), Hindi (76%), Irish Gaelic (82%), Norwegian Nynorsk (97%), Russian (77%), Scottish Gaelic (70%), Slovak (62%), Slovenian (56%), Spanish (93%), Turkish (73%). We decided again for this release to keep the translations that dropped below 80%. It would be sad to have to disable 10 languages from the application, but if no one updates the following translations, they will be disabled in next release: Basque, Belarusian, Chinese Simplified, Estonian, Hindi, Russian, Scottish Gaelic, Slovak, Slovenian and Turkish. For the windows version, we added a new entry in the start menu called GCompris (Safe Mode) to launch it with software rendering mode. This was needed as the auto-detection of OpenGL support was not reliable. Now, users can easily choose between OpenGL and software rendering without changing the configuration file. The progress bar for downloads doesn't work anymore. This is a side effect from our switch to https for hosting the files. We are looking to improve this for next release. As a side note dedicated to GNU/Linux distribution packagers, this new version now requires OpenSSL to be able to download voices and additional images. As usual you can download this new version from our download page. It will also be available soon on the Android and Windows store. Good news for Mac users: we finally have a new version of GCompris for OSX ! The last version of GCompris for OSX was 0.52 from 3 years ago. Since then, no one in the team could update it because of the lack of hardware. Thanks to Boudewijn from the Krita Foundation, we have now a little mac mini, old but good enough to build our packages. It took me several days of dedicated work to learn this new platform and update the build system to produce a distributable package. This package was built and tested on OSX 10.13. If you can try it on a different OSX version, please let us know if it works. The .dmg installer is available on the download page. This time we decided to stop distributing it from the app-store. About the iOS version, it will take some more time before I can look at it, and we still don't have any device to test. Notes: this package is based on GCompris version 0.95. It is built with the latest version of Qt (5.12.0) which introduced some regressions. We fixed all of those issues, but some of those fixes are only in the development version for now. 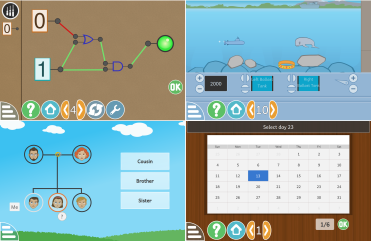 A few activities are broken (checkers, braille, braille_alphabet, algorithm), but we will make a new release next month that will also address those little issues. We are pleased to announce the release of GCompris version 0.95. You can find packages of this new version for Linux and Windows on the download page. This update will also be available in a few days on the Android and Windows store. For Raspberry Pi, we'll provide an installer in the beginning of 2019. The updated versions for MacOS and iOS are still not available, we hope to be able to release those during next year. On the translation side, we have 15 languages fully supported: British English, Catalan, Catalan (Valencian), Chinese Traditional, Dutch, French, Galician, Greek, Hungarian, Italian, Malayalam, Portuguese, Romanian, Swedish, Ukrainian. We also have 19 languages partially supported: Basque (78%), Belarusian (69%), Brazilian Portuguese (74%), Breton (54%), Chinese Simplified (69%), Estonian (63%), Finnish (61%), German (86%), Hindi (77%), Indonesian (84%), Irish Gaelic (82%), Norwegian Nynorsk (89%), Russian (74%), Scottish Gaelic (71%), Slovak (62%), Slovenian (57%), Spanish (95%), Polish (94%), Turkish (74%). Usually we only ship translations that are at least 80% complete. However for this release, several translations dropped below 80%. We decided to keep them exceptionally for this release, and hope to see former or new translators complete those translations. If we get updates or new translations, we will make a release update for those. So if your language is in the partially supported list, or is not yet supported at all, and you want to help, please contact us and we will give you instructions to get started translating. 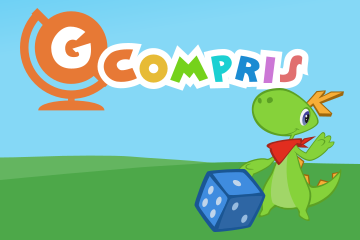 Another way to help is to write some posts in your community about GCompris, and don't hesitate to give us feedbacks. On Linux and Windows, we used to have two separate installers for OpenGL and software rendering. Now both rendering modes are available from the same installer. By default we try to use the OpenGL rendering, and if not working, we show an error and switch to the software rendering. This automatic switch is new and may not work everywhere. In case it doesn't, you can manually select the software rendering mode by editing the configuration file (in ~/.config/gcompris/gcompris-qt.conf for Linux, %LocalAppData%/gcompris/GCompris.conf for Windows): find the line "renderer=auto", replace auto with software and save the file. We are also interested to get some feedback to help us improve this auto-detection. For the Malayalam language, we noticed some issues with the default font "Andika-R". We recommend Malayalam users to select the font Noto-Sans-Malayalam from the application menu (if it is not available in the list you need to install this font on your system to be able to select it). Her er GCompris 0.91, ein ny versjon med nokre feilrettingar og forbetringar frå den førre versjonen. Alle GNU/Linux-distribusjonar med versjon 0.90 bør oppdatera til versjon 0.91. Du finn den nye versjonen på nedlastingssida og snart i Google Play Store og Windows Store. No er 16 språk fullt støtta: British English, Catalan, Catalan (Valencian), Chinese Traditional, Dutch, French, Greek, Indonesian, Irish Gaelic, Italian, Polish, Portuguese, Romanian, Spanish, Swedish, Ukrainian. Me har òg 15 språk som er delvis støtta: Norwegian Nynorsk (97%), Hindi (96%), Turkish (90%), Scottish Gaelic (86%), Galician (86%), Brazilian Portuguese (84%), Belarusian (84%), German (81%), Chinese Simplified (79%), Russian (78%), Estonian (77%), Slovak (76%), Finnish (76%), Slovenian (69%), Breton (65%). Viss du vil hjelpa å fullføra ein av desse omsetjingane eller leggja til ein ny ein, kontakt oss. Elles kan du òg hjelpa ved å skriva om GCompris eller komma med tilbakemeldingar på programmet. We are happy to bring you GCompris 0.90. You can find this new version on the download page. And some partially supported: Belarusian (87%), Brazilian Portuguese (87%), Breton (65%), Chinese Simplified (80%), Estonian (79%), Finnish (78%), Galician(87%), German (83%), Hindi (86%), Irish Gaelic (99%), Norwegian Nynorsk (86%), Russian (80%), Slovak (76%), Slovenian (70%), Polish (99%), Turkish (93%). If you want to help, please make some posts in your community about GCompris and don't hesitate to give feedbacks. 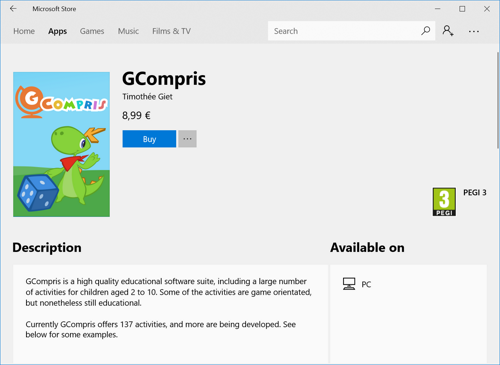 As the title says, you can now buy the full version of GCompris for Windows 10 from the Windows Store. This is a good way to make it more visible and easy to find for new users. Also, if you buy GCompris from the Windows Store, you get automatic updates, you can install it easily on all your Windows systems, and it will run in a sandbox. If you prefer to not use the store, or if you only want the free demo version, you can still download it from our Download page, and buy the activation code to unlock all the activities. The store is just one more way to distribute GCompris, and to provide some income to support the project. As usual, the full version is free on Free-Software operating systems like GNU/Linux, but for proprietary operating systems like Windows, the full version has a cost. Of course, the source code of GCompris is and will always be under a Free-Software license. Note: the package on the store contains the version using the software renderer instead of OpenGL, since it's the only way we have for now to make sure it will work on any computer. If you really want the version using OpenGL, get it from our Download page. We are very happy to bring you GCompris 0.81, this time on Raspberry Pi. This version for Raspberry Pi was made possible thanks to the new "light" mode that we've been working on (read the previous post to learn more about this new rendering mode). It was built and tested on Raspberry Pi 3, where it works good. Since it was not tested a lot yet, this first package is considered beta. Please report any issue you may experience with it. If you can try it on a Pi 2, please let us know the result. It was also not tested on Pi 1, but those probably don't have enough cpu and/or ram to run it. The installer is on the Download page with all instructions needed to use it. 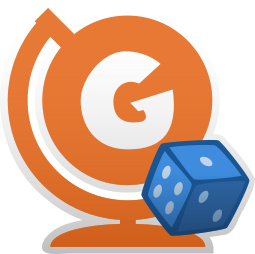 We are happy to bring you GCompris 0.81. This is a bugfix release to correct some issues in previous version. All GNU/Linux distributions shipping 0.80 should update to 0.81. Also, we introduce a new "light" version that doesn't require OpenGL to run. This means that it should work on any computer. We provide some special windows packages using this option, and also the standalone installer for Linux 32bit is using this option. In this light version, the transparency gradient on the menu is gone, and we had to adapt a dozen of activities that will look a little different in this mode, but should still be usable. We also added a new Download page on the website, with instructions for each operating system. Last but not least, we now have translation for Indonesian, thanks to some very nice contributors who organised a sprint in Indonesia to work on it. If your distribution doesn't provide an updated package, use one of those standalone installers. They must be launched from command line, after adding executable permission on the file. Check the Download page for more info. The source tarball, the windows and the linux installers are signed. You can retrieve the public key over https here: 0x63d7264c05687d7e.asc. This site is licensed under a Creative Commons Attribution-ShareAlike 2.0 France License.